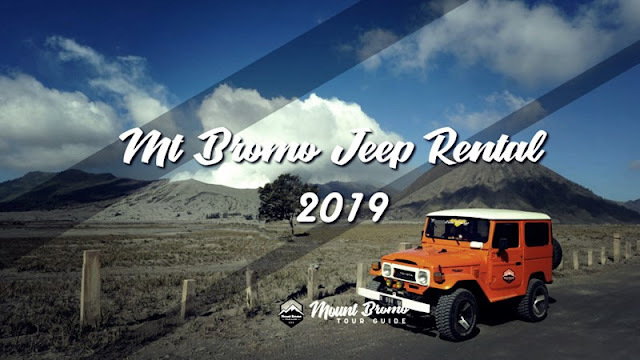 Bromo Jeep Rental 2019. Jeep/Hardtop Rental Place with a cheap price with a meeting point start the tour from Sukapura, Ngadisari Cemara Lawang Probolinggo, Tumpang Malang, Tosari Wonokitri Pasuruan. In addition, we also provide rental jeep to Ranu Pane village for those of you who want to try Mount Semeru hiking package or camping on Ranu Kumbolo Lake. This toyota landcruiser 4 car rental service is one of the Mount Bromo tour package 2019 option, in addition to providing a reasonable price, service, the best and recommended trip itinerary. we are also a provider of transportation tour services or the main vehicle used by visitors on this volcano tourism namely Mount Bromo jeep rental. What if there are visitors carrying their own Jeep? of course it will still not be permitted by the management, because the policies of all visitors are required to use the Jeep rental at Mount Bromo. For security issues you don't need to worry because these Jeep drivers are very experienced. You are allowed to go around Cemoro Lawang. if you bring a 2-wheeled vehicle or motorcycle. But if you use a tour type of automatic vehicle, it's better not to use it to start the Sunrise tour because the terrain is dangerous and prone to slippage. The need to rent a hartop or Hardtop is used when you will explore your tour or explore other tour package around Mount Bromo area, like Semeru hiking tour package, Kumbolo Camping tour package, Waterfall tour package. Some important points before You start your tour which become destinations for jeeps are among others as follows. Mount Bromo 4 Jeep Rental Location : A complete Mount Bromo sunrise tour package , where visitors will be invited to trip all tourist attractions in this mountain namely: Penanjakan 1 or penanjakan 2, Crater, Padang Savanah, Teletubies Hill and Whispering Sand. Sometimes it's also called the 5 location jeep rental because the ones visited are 5 locations like the one I mentioned above. Mount Bromo Jeep rental that we provide is very complete to explore the Sunrise, Milky Way package, Sunset, and other trip package option. The starting Jeep rental from Malang to this tourism, from Probolinggo, from Surabaya, from Pasuruan and directly from Cemoro Lawang. For a list of fees and rental rates for Jeep Rental Bromo 2019, please see the table below. Prices are not for periods of national holidays, long weekends, Ied, Christmas and New Year or high season periods. Detailed explanation please see our description below. Almost similar to the service to see sunset above, what's interesting for Mount Bromo Milky Way is that you will be invited to certain spots to see the beautiful night scenery of the Milky Way galaxy that is very fascinating. Perfect for photography lovers, the fees and rates according to the start point are. 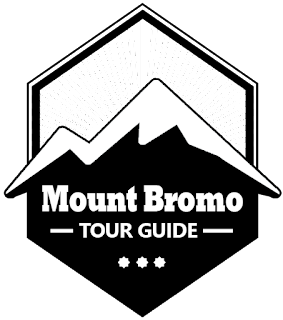 This is an information about Mount Bromo Jeep Rental on 2019 hope usefully. Detail about Mount Bromo tour package price, accomodation and hotel, please contact us.